OutBrain.com | Website Traffic Review - Best Legit Traffic Sources you MUST Try! 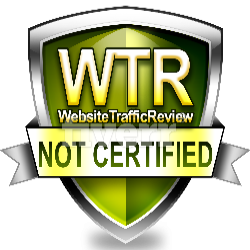 by Unhappy Advertiser on Website Traffic Review - Best Legit Traffic Sources you MUST Try! by Colin on Website Traffic Review - Best Legit Traffic Sources you MUST Try! by Leon Brian on Website Traffic Review - Best Legit Traffic Sources you MUST Try! Complete scam. I was tracking the data on my website, they reported 79 clicks that cost £50 that happened in two days (1 of which the ad was being “verified”) and none of that traffic showed up on my site. Dont use them!!! by Greta on Website Traffic Review - Best Legit Traffic Sources you MUST Try! Suggest everyone to be very careful when dealing with them. by David A. on Website Traffic Review - Best Legit Traffic Sources you MUST Try!